People seem to either love or hate the dock in Mac OS X Leopard. Maybe it’s the appearance, the reflection, or something else. If you’re not a fan of the default ‘swoosh’ reflective Dock, there are many options available, and a site has popped up catering to nothing but Leopard Docks. Yes indeed, customized Mac OS X 10.5 Leopard docks, so you can change the appearance to suit your preferences a bit. 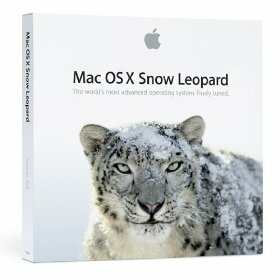 Aptly named LeopardDocks.com is dedicated to nothing but customizing your Leopard dock, with everything from shiny wood surfaces to grass. You’ll need to make a few modifications to install the custom Docks, but it shouldn’t be a huge hurdle to anyone who has an urge to tinker with their Mac system. Right-click Dock App icons for extra launching features right from the Dock! there’s some really ugly docks on that site, I mean seriously who uses some of that stuff. and what’s wrong with the leopard dock anwyay?? I tried to follow the steps to change my dock and now it is gone completely! How can I get it back i saved the original files but they somehow got deleted as well! I just want back to the same old original Leopard dock!!!! Please Help! My spaces and expose will not work either! Ben – Just copy the backup files of the original dock back into the Dock folder on Macintosh HD…then in the terminal type (like they say to) killall Dock and you should be alright.. Does anyone know a way to get a flyout menu for mac like objectdock does for the macsimulation on windows. i think i looks incredible and is very useful.